MANICA Diamonds coach Luke Masomere says he would have preferred his Premiership newcomers to start their maiden campaign in front of their home supporters at Sakubva when the season gets underway in March. The Gem Boys have been forced to provisionally use Vengere in Rusape as their home ground as they wait the completion of the renovations at Sakubva. Vengere, which has also been criticised by several PSL teams, is the only other stadium in Manicaland province certified by the ZIFA grounds committee to host PSL matches. There has been slow progress in the renovations being carried out by Mutare City Council at Sakubva. Manica Diamonds, who used Mutare Boys High as their home base in the ZIFA Eastern Region Division One, will follow the footsteps of the relegated Mutare City Rovers to move to Rusape. 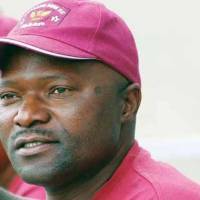 Club secretary-general Sugar Chagonda told The Herald the team have no option but to use Vengere as their alternative home ground. “We can confirm that due to unfinished renovations of Sakubva Stadium, for it to meet ZIFA standards, we realised that time was not on our side as the season is fast approaching. “We then engaged the Rusape City Council and they agreed to allow us to use Vengere as our home ground this season until Sakubva renovations are completed,” said Chagonda. Masomere said he would have liked to play at Sakubva. “I have accepted the decision to play our home games at Vengere but I would have been happy if my team would have started matches at Sakubva in Mutare because this is where the majority of our team supporters are. “And you know how important supporters are, especially when playing at home. “But we know they will follow us in Rusape. We also have a good number of supporters who can support us there. “We are going to enjoy our home games over there,” said Masomere. He said the team’s target was to secure a top-eight finish. “We are still new in the league and we still have a lot to learn. So we need to be realistic with our objectives as a team. “Our main target this season is to finish in the top eight and if it happens that we win some trophies we will be more than happy. “I think we have done well in the market and we brought in some experienced players in the league, but that does not mean we have a machine because I haven’t yet had my starting XI.